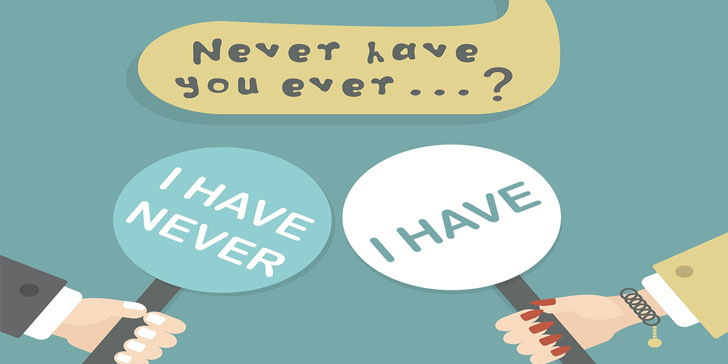 If you want to find out lots of things about your friends – “never have I ever…” is an amazing game to do it. It’s fun as a way to get to know people, but it’s even better as a way to look at one of your friends and shout “no way!” when you realize that yes… they totally have done that, and yes… you completely underestimated them. If you want to have the best time playing “never have I ever…” – just make sure that you start out slow and don’t go out in personal question territory unless you really know each other and are comfortable with each other. There are a couple of ways to play “never have I ever…” – both are fun and both have their plusses and minuses. The first way to play is by playing the finger game, also sometimes referred to as points. Everyone arranges themselves in a circle, and you go around saying “Never have I ever done X…” where X is something you’ve never done. It can be anything – from something simple (“Never have I ever been to Florida”), to something more complicated (“Never have I ever cheated on a test”). Everyone who has done the thing that you said you had never done has to put a finger down. You can start with however many fingers up you want – I’ve found that 5 is the best mix for a game that goes quickly but stays fun. You then go around in a circle, with each person in turn saying something they’ve never done, and everyone who has done that thing putting down a finger. Once you’ve put down all your fingers – you’re out, and the person with fingers left at the end of the game is the “winner”. Half the fun is hearing the story behind why one of your friends put down a finger when you said, “Never have I ever been late to something really, really important” – and you get to hear how your friend nearly ruined his aunt’s wedding by showing up 25 minutes late to the ceremony. The second way to play “never have I ever…” is as a drinking game. This generally goes the same way – everyone’s in a circle, each person says something they’ve never done on their turn, and everyone who has done that thing takes a sip of their drink. Obviously – only people of legal drinking age should play the game this way, and should be taking sips, not gulps (that’s how you really get in trouble with being too drunk). Another thing to remember is that the drinking version of “never have I ever…” is way, way more susceptible to getting out of hand fast. 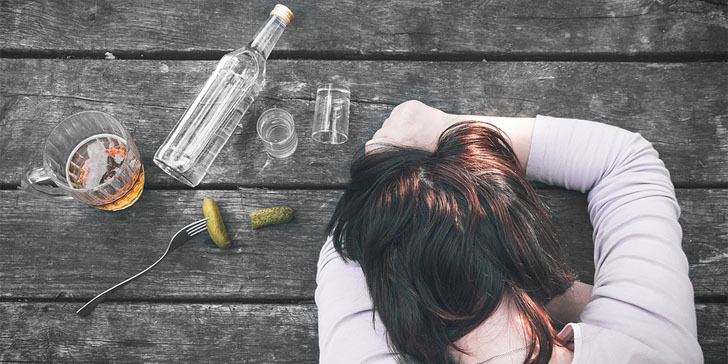 I’ve seen friendships and relationships ended over drunken fights because of unpleasant “never have I ever…” questions – so always drink responsibly and know when to draw the line. At the end of the day, playing “never have I ever…” is supposed to be fun and lighthearted. I’ve seen lots of times where it gets unpleasant when someone targets someone else with embarrassing questions (“never have I ever gotten so drunk I peed myself, sarah…”) and people can get upset really quickly. The most important thing is that everyone should be lighthearted and have fun with it. Don’t target your friends with embarrassing situations that they might not want to reveal to other people in the group, and if you’re playing the drinking version, always drink responsibly and help your friends to drink responsibly. The best case scenario for “never have I ever…” is that you learn new things about your friends and get closer to them. As long as you keep things lighthearted, you’ll have a great time! Enough of the prologue – let’s talk about the best “never have I ever…” questions for your next party! Just add “Never have I ever…” to the beginning of any of these to make an amazing never have I ever question. …gotten into a movie without paying for a ticket. …snuck out of a restaurant without paying the bill. …fired a pistol or a rifle. …been bungee jumping or skydiving. …been able to hang out in a real life tree house, mine or a friend’s. …sneakily checked through someone’s texts or messages on their phone without them knowing. …traveled outside the country where I was born. …been put into the back of a cop car. …gotten trapped in an elevator when it got stuck. …gotten stage fright so bad that I forgot what I was supposed to say. …been slapped full on in the face – not for pretend. …seen a ghost or something else that I flat out can’t explain. …hated my job so much that I quit and walked out in the middle of the day. …spent more than 2 weeks travelling without going home. …gone vegetarian or vegan for more than 2 weeks. …been attracted to a friend’s parent. …sent an embarrassing text to the wrong person in my phone. …been so hungover that I threw up the next morning. …gotten in a car accident. …read an entire book in one day (or one sitting). …tripped or bumped into someone because I was looking at my phone. …hiked for a really long time (like more than just a few hours). …eaten something from a restaurant and gotten completely sick afterwards. …broken something expensive because I got mad and threw it (like a phone or a remote at a tv). …swollen up from an extreme allergic reaction to something. …been in a situation where I thought I seriously might die. …hated my boss so much that I sabotaged my work to screw them over. …had a picture or video of me posted online that I wish would come down. …performed on stage (whether as a musician, actor, talent show, whatever). …gotten a cut so bad that it needed stitches. …found something in public and didn’t turn it in to the lost and found. …walked out of a movie in a theater because I hated it so much. …gotten yelled at by someone just for doing my job. …passed out while standing up and fallen over. …been in a physical fist fight with someone. …killed an animal while hunting. …thrown up at an amusement park. …stolen something from a store. …gotten such a bad sunburn that I couldn’t even use hot water in the shower. …fallen in love with someone at first sight. …tried to impress someone I liked and wound up falling flat on my face. …stayed up for more than 48 hours straight. 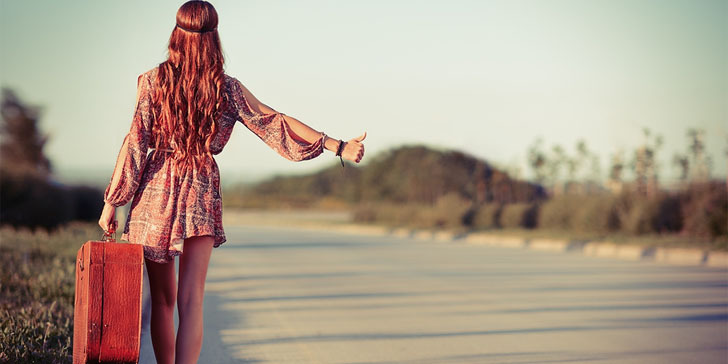 …been hitchhiking or picked up a hitchhiker. …knocked out one of my adult teeth. …pretended there was a death in the family to get out of doing something. …pulled an all nighter studying or trying to finish a project. …said I love you by accident to the wrong person. …farted in an empty elevator then had someone else get on. …thrown up in a cab or an uber. …checked inside someone’s medicine cabinet in their bathroom without telling them. …made money by playing a musical instrument. …gone streaking somewhere in public. …taken an overnight flight somewhere. …gotten food poisoning in another country. …forgotten to turn in an assignment until past the due date. …completely screwed up during a job interview and embarrassed myself. …been fired from a job. …been in an actual, real life food fight. …exercised so hard that I threw up. …been on a bike ride longer than 20 miles. …called someone (like a teacher or a professor) mom by accident. …run away from the cops. …been thrown out of a bar or a restaurant. …gotten a fake id refused at a store or bar. …snuck into a concert or professional sports event. …met someone really famous and gotten their autograph. So there are two ways to play Never have I ever . Depending on your age and what you are comfortable with, you can pick the game that works for you and your friends. Or you could just say Never have I ever and have your friends say if they have done it or not. good thing you pointed out not to play this game to embarrass someone. this game should be fun and something that will strengthen friendships or relationships. never have i ever questions is always fun to play with friends while drinking. i got drunk the first time i trued this but i am better at it now. no more getting drunk, haha! i just love playing this game! it never fails to make every party fun and thrilling. for me, the most exciting moment is knowing the stories behind the questions. yes this is absolutely an amazing game you can play with your friends but you have to make sure that the questions you choose are good and interesting or the game will become boring. i like these! they’re truly amazing and sure to be fun! thanks for the new ideas i can use with my bf and friends too. always do this while drinking with your friends and you’ll have the best time! i guarantee this because you’ll learn a lot about each other and you’ll surely laugh about so many things you’ll discover. this game is one the favorites in my circle. together with my friends, we drink and play this and it adds more fun and laughter to the group. never have i ever questions are always fun to play with around friends and new friends. we actually did this my freshman year and it really helped us to know each other better, in a fun way and not the usual boring introduction type of thing. we always play this game while drinking. it’s definitely more fun than just counting with your fingers. in the end, someone gets really drunk for all the things he’s done that some have never ever done yet. lol! this game made me discover some interesting, embarrassing and funny things about my best friend. we still laugh hard whenever we talk about it. this game made me discover some interesting and embarrassing things about my best friend. we still laugh hard whenever we talk about it. so many questions to choose from! can’t wait to play this game with my sisters tonight. this game is classic! try it if you want to find more things about your friends. i love the ideas here! my friends and i can use this for our game night with our partners on friday. thanks for this! yes you are right. this game should be fun and never be taken personally. my friends would love these ideas we can try on our game week. my friends and i really love this game ! i always have trouble coming up with questions. thanks for sharing. great way to cure boredom! always a fun game to play with friends! these are all cool! i’ll try these with my friends soon!